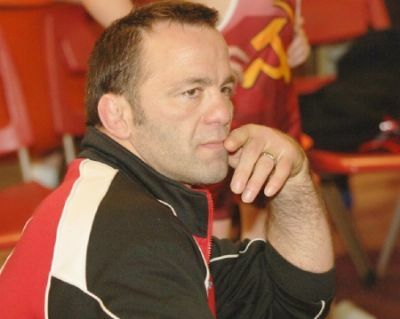 Miron Kharchilava was an assistant coach with The Ohio State University wrestling program which placed 3rd at the NCAA Championships in 2003. This was the highest results in the national tournament for the OSU wrestling team at this time. Prior to coming to OSU, Kharchilava was an assistant at Indiana University for three years. He is no stranger to the state of Ohio, however. Kharchilava was a student assistant coach at the University of Findlay from 1991-95. With his coaching assistance, the University of Findlay won the first ever NAIA Wrestling Championship in 1995. Miron was only eligible to wrestler one year due to the limited NAIA timeclock. In 1995 as a senior, he captured an NAIA national championship at 167 pounds and was the NAIA Championship Outstanding Wrestler. Kharchilava came to the United States in 1991 from the country of Abkhazia, which was formerly a part of the Soviet Union . Before arriving in America , he was a member of the Soviet National team from 1985 to 1991. He won the Soviet Junior National Championship at 149.5 pounds in 1986. Kharchilava was a silver medalist at the Medved International in 1989 and the Soviet University National Champion at 163 pounds in 1990. Since his arrival in the U.S. in 1991, Kharchilava has won the Michigan Open (1992), Sunkist International (1992) and was the U.S. Open International Champion (1994). In 1992 Kharchilava was extended a special invitation to train at the Olympic Training Camp at the Foxcatcher Farms. He also was invited to the 1993 World Team Camp in Colorado Springs . Kharchilava counts among his victories, wins over Nate Carr (1988 Olympic bronze medalist), Matt Demaray (U.S. World team member), Pat Santoro (two-time NCAA champion and currently Head Coach at University of Maryland), Casey Cunningham (1997 NCAA Div 1 Champ and current assistant coach at Central Michigan University), and Troy Sunderland (NCAA champion and current head coach at Penn State ). 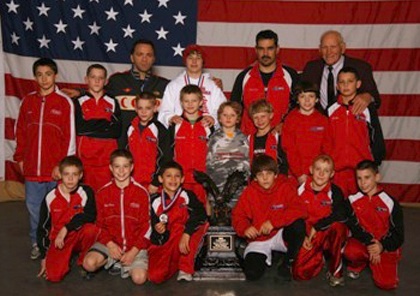 Kharchilava finished first at 152 in the Northeast Regional in Brockport , N.Y. , and the New York International before placing third at the Dave Schultz International in 2001. His third-place finish qualified him for the World Team Trials where he finished in the Top 5. Kharchilava was able to compete in the trials for the United States after gaining his citizenship only three days earlier. Besides his international and NAIA achievements, Miron has assisted coaching and training the US Freestyle World Championship Team in 1993 and 1995, which was the first ever World Championships for the US freestyle team. 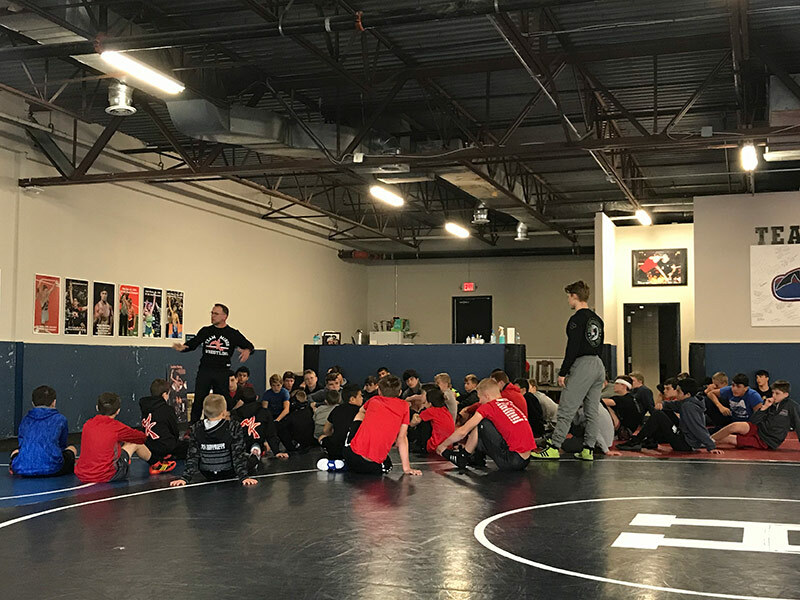 He has worked with the Ohio High School All-stars as well as the Ohio Junior Cadet National team and the Austrailian World Team from 1996-1998. In 1998 Coach Miron wrestled in the Austrailian National Championship and took 2nd at 220 pounds. This was 3 weight classes above his weight. He graduated from Findlay in May of 1995, with a bachelor's degree in physical education. Read more messages from wrestlers and families. Write a message to Coach Miron.